The grade of steel used is SAE-52100 / 100 Cr 6 (modified) bearing steel of international acceptability. Bearing steel is used only after ensuring macro (for non metalic inclusion rating/cleanliness) and microstructure, as per standard specifications to ensure the long life of bearings. We have profile projector, which is used for checking/controlling the profiles of grooves, butting radius, etc., at turning stage. 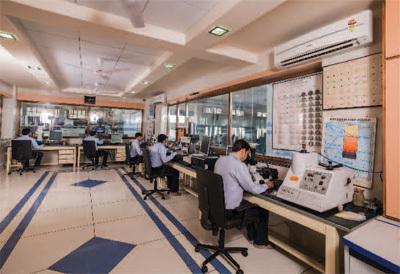 Our Standards Room has all the facilities of quality appraisal equipment, such as TALYROND - Roundness Testing machine, FORM TALYSURF - profile and surface finish testing machine etc. imported from world renowned make - Taylor Hobson, U.K.
We also have other inspection facilities, such as Bearing Eccentricity tester, Dial Calibration Instrument and Residual Magnetism Tester etc. TURBO has installed a Universal measuring machine from TRIMOS - Switzerland. 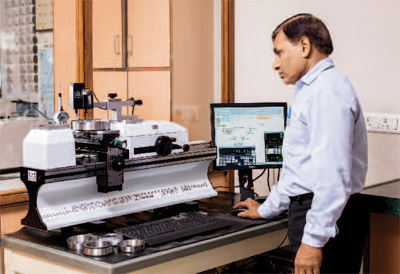 This machine gives absolute value of internal dimensions, external dimensions and angles of rings and rollers, measured as per international standards. 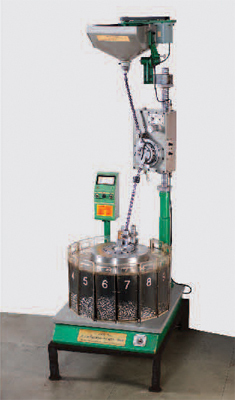 This machine is used to calibrate the bearing components as per designed dimensions. 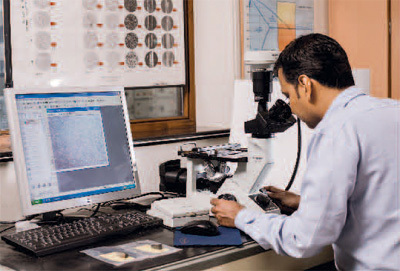 Talyrond - Taylor Hobson Ltd. (U.K.) make: This world renowned quality appraisal equipment is used for checking the roundness, squareness, concentricity, cylindricity, flatness and coaxiality of bearing components, which ensures running accuracy for longevity life of TURBO bearings. We have latest version of Form Talysurf (Form and Surface Finish Measuring machine) from world famous Taylor Hobson Ltd. (U.K.). 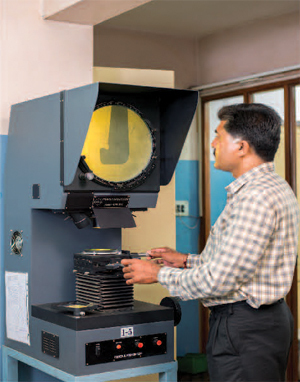 This machine is used for checking Micro geometry. 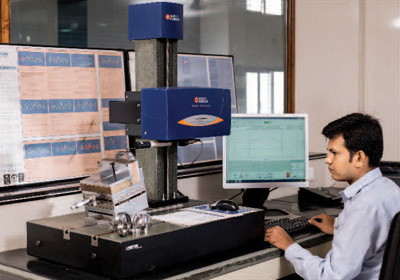 It evaluates parameters like Form geometry and surface finish of components. This control helps for improving the quality and product performance in the field. Our R& D continuously makes improvements in these accuracy parameters of races & rollers, to enhance field performance of TURBO bearings. We have imported automatic roller grouping machines for Tapered rollers. 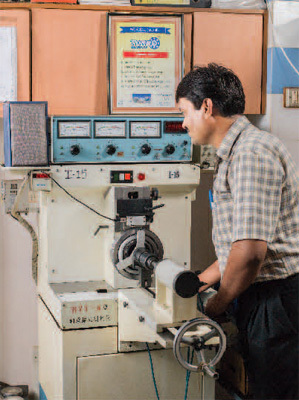 These machines have facility to group the rollers within 1 micron grading. 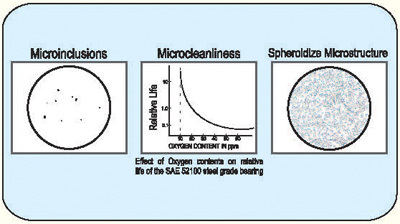 The close grading gives uniform load distribution in the bearings for longer life. We have imported noise level testing machines, which are used for checking the noise & vibration of ball and roller bearings. 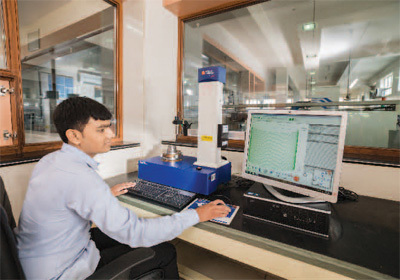 These equipments have low band, medium band and high band vibration measuring facility, which enables to identify the control of quality parameters of various bearing components. They help in upgrading the bearing performance. We have Magnetic Particle Inspection (MPI Testing) Machine, which is widely used for non-destructive testing of the bearing components, to identify the surface cracks. 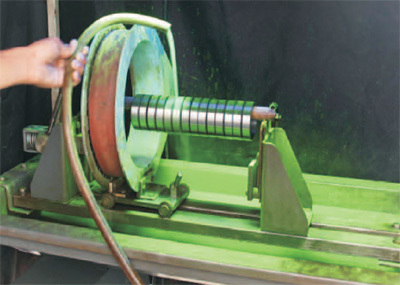 The test is performed by spreading fine Ferrous-oxide particles with high magnetic permeability (mixed with a liquid media), over the surface of the test part & simultaneously magnetising the component with a strong magnetic field, created by passing an electric current through a coil. The Ferrous oxide particles are attracted to the leakage field (crack), which can be visually detected under the Ultra Violet lighting. This test is fast and reliable process, where indication of surface defects is visible directly on the test piece surface.